It was a great honor to update the logo for Fort Mackinac. I’ve been going up there since I was a little kid. So, having the opportunity to redesign the logo was a great privilege. 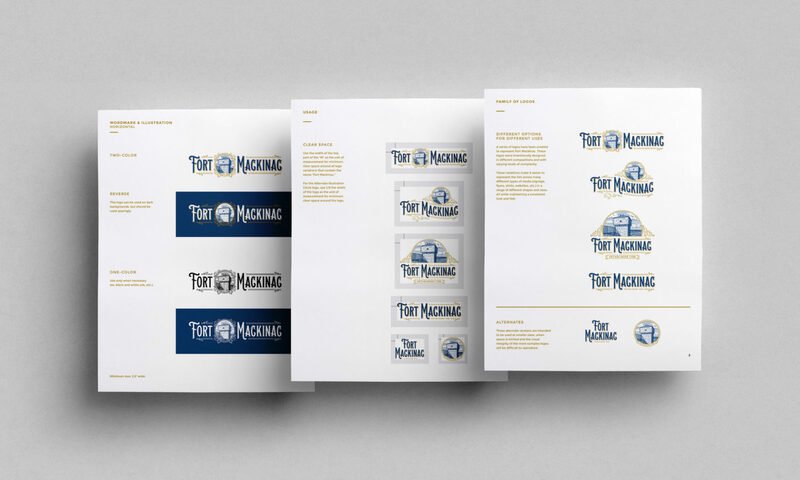 The client asked for the logo to pull design elements from the Victorian era (1880s), and to incorporate the iconic “West Blockhouse.” In addition, the logo needed to be “modular,” so the icon and wordmark could be used separately, or in different orientations, in order to work in various formats (wearables, wayfinnding, decor, etc.). It was a ton of fun to work in a style I don’t get to exercise often enough and create a logo that respects Fort Mackinac’s history.